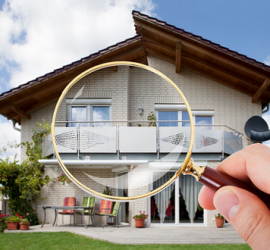 If you are buying, selling, building or staying in the property you own, a property inspection just makes good sense. Reports are provided 24-36 hrs after the inspection. Water & air quality, radon, and other important tests are essential when deciding to become a home owner. Our high standards of testing will safeguard your investment. 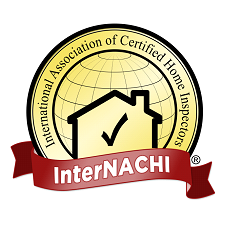 While all licensed home inspectors must follow state regulations (we are licensed in NH & MA), we also adhere to more stringent standards outlined by InterNACHI. Congratulations! You exemplify quality work practices, premier service, and are a valued resource for homeowners. 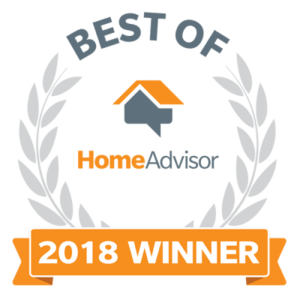 Only the top pros in our network are honored with this award. A standard home inspection is a visual examination of the physical structure and major interior systems of a residential building consisting of one to four dwelling units. It should be understood that there are certain risks inherent in the purchase of property and a home inspection is inherently limited in its scope and depth. The information gained from home inspection conforming to national, organizational and state-specific standards of practice may reduce some of those risks, but the home inspection is not intended to provide the client with protection from all of the risks involved in the purchase of a home. Our inspection process can be likened to a physical exam by a Doctor; however, it should be clearly understood that a home inspection is not to be confused with an appraisal, a building code inspection, a guarantee of any kind, and/or an insurance policy on the condition of the property. 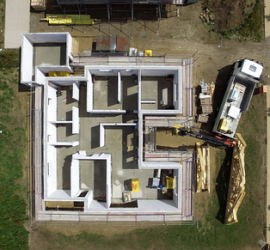 During an inspection, the inspector will review the readily accessible exposed portions of the structure of the home, including the roof, attic, interior walls, ceilings, floors, windows, interior & exterior doors, basement, and foundation as well as the electrical system, heating/air conditioning systems and plumbing for potential problems. A home inspection does not and is not intended to point out every small problem or any invisible or latent defect in a home. Most minor or cosmetic flaws, for example, should be apparent to the buyer without the aid of a professional. A home inspector is typically hired by you, the potential homebuyer, after the initial offer to purchase contract is signed. Usually, you have 14 days from this time to get a professional home inspection completed prior to executing the final purchase and sales agreement. However, you should speak to your representative seller agent about language in the contract making the purchase obligation contingent upon the findings of a professional home inspection. This clause should specify the terms to which both the buyer and seller are obligated. While it is not always necessary, I highly recommend that you be present for the inspection. This allows you to observe the inspector, ask questions directly, and obtain a better understanding of the condition of the home, how its systems work and how to maintain it. The written report may be easier to understand if the buyer was present during the inspection. It is important that your agent provide safe access and sufficient lighting so that the inspector can inspect the property fully. Inspectors must provide a written evaluation report based on the national, organizational & state specific standards of compliance in accordance with state, local and national organization standards of practice. 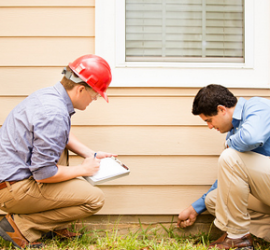 At the conclusion of the home inspection, the buyer should be well informed of the condition of the home. It should be known if there are visible, apparent problems, if repairs need are required, or whether or not there are any risks of concealed damage, and whether further investigation is recommended and/or required. While these inspections and tests are not part of the basic home inspection I do offer these services when applicable.